The OTAKU Big Welcome ! It is about 10 minutes' walk to Akihabara. The Location is Super-Convenient ! 1 minute walk from JR Ueno Station !! Please confirm it with the Video above. WiFi can use also in the room! Akihabara / Asakusa is within walking distance ! within 1 minute walk from our hostel. We have a nice Bar that can be comfortably drunk. HUB - The British Pub is with in 10 minute by walk from our hostel. Foreign exchange shop　is in Ueno Station. It's takes within 5 minute. Keisei-Ueno Station is within 8 minute walk. the Airpot Monorail and JR train to JR Ueno Station. A big Police Box is 1 minute on foot. A big Japanese style bath is fun. The Futon experiences on the Tatami mats is fun. From 2980JPY per person ! 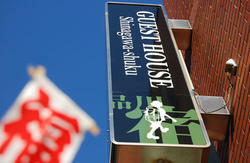 Hostel Komatsu Ueno Station, Your Home in Japan. Ueno is a transfer point for trave'l within Tokyo and to other Japanese cities. Train, subway and Keisei stations are within walking distance. Ueno Zoo and museums and cultural sites in Ueno Park are a 7 minute walk away. Akihabara (Electric/Otaku City) is 3 minutes away via the JR Yamanote Line. Asakusa is 5 minutes away via the subway Ginza Line. Fare is 160 yen. Roppongi is 26 minutes away via the subway Hibiya Line. Fare is 190 yen. They can be accessed from the subway Ginza Line/Hibiya Line at JR Ueno Station (Main entrance / Asakusa entrance). The entrance is only a 1 minute walk away. We warmly welcome our guests with best service at a reasonable price. Relax in our Japanese-style rooms. We are very sorry, but we cannot accept credit cards. Cash only, in Japanese yen. We are not the [no- smoking ]hostels. 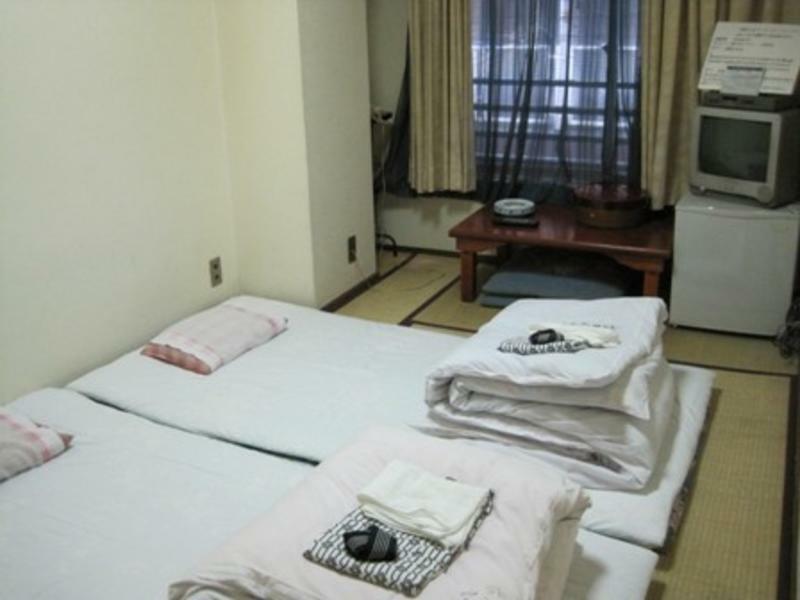 - Reasonable,clean and comfortable Japanese style rooms. 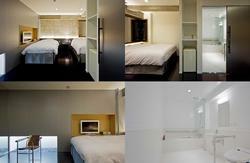 - Web Access in Guest room and at Lobby. Walk out of the Asakusa exit at JR Ueno Station and down the stairs to the street. Pass the First Kitchen fast food restaurant on the left side and continue down the street. Turn left at the street corner when you walk by the Family Mart convenience store. You will see our bilding which has four shelter ladders attached to the outside.